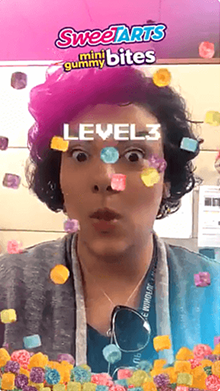 Mobile and social game developer King partnered with Facebook to launch an interactive augmented reality Facebook camera effect based on popular match-three game Candy Crush Saga. 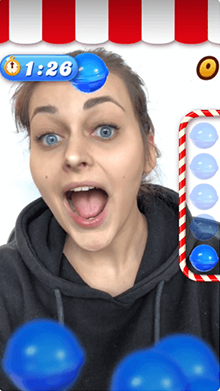 To date, Nestlé has merely dipped its feet into Snapchat, but there appears a real hunger for the platform – it has launched nearly 40 campaigns on the service across six of the (eight) markets the company accepts ads in, one of them being Sweetarts. 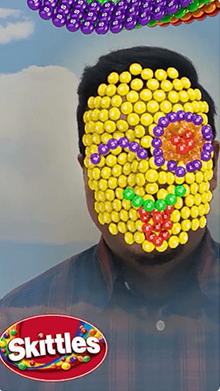 The Skittles one was tied into the candy company’s Super Bowl commercial, and it let users turn their face into a portrait made entirely of the fruity candy, a la the Steven Tyler Skittlesportrait in the commercial.  Click the video above to see all the fun I had messing around with it.